My Mother’s Secret is told through three characters: Lizzie, Emma and Stella. 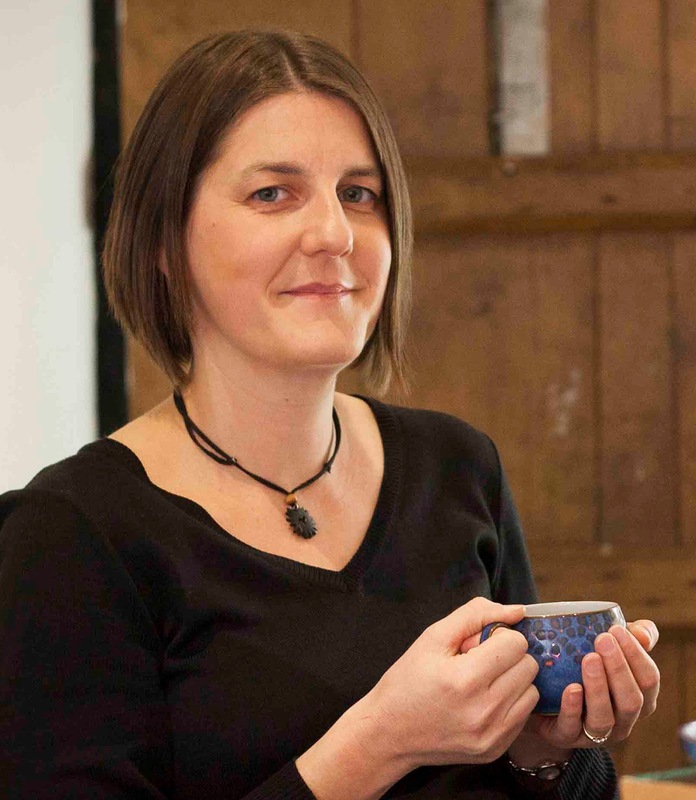 Lizzie fell pregnant and married Paul Bradshaw before she had the opportunity to complete her degree. When their son, Dylan, is six months old Lizzie decides to take a part-time job in Leeds, leaving Paul and Dylan at home in the Lake District for part of the week while she earns money to contribute to their limited finances and studies to complete her degree. While in Leeds she witnesses a serious crime which ultimately defines her future. Emma, wife to Jack and mother to eleven year old Ava and fourteen year old Stella is anxious, bordering on neurotic, where the safety of her family is concerned. She has all the family’s daily activities scheduled with everyone notified of each other’s whereabouts. Every day she escorts the children to and from school and any activities they have. On a family outing at the weekend Emma becomes distracted while taking photos and Jack, Ava and Stella wander off. Suddenly, realising they are no longer there, Emma’s paranoia takes hold. Stella, a feisty teenager, finds her mother’s behaviour stifling. She is eager to gain independence and cannot understand why she is denied the freedom permitted to her peers. When her mother’s time-keeping starts to become erratic - showing up late to collect them from school and arriving home late from work - Stella suspects something is not right. As she determines to find out why her mother is distracted and behaving out of character Stella uncovers secrets that threaten the stability of their very comfortable family life. 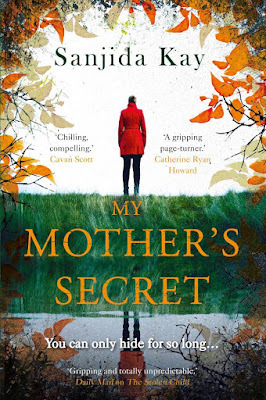 My Mother’s Secret is a well written novel which, although not a page-turner, draws the reader in to the lives of the characters making it difficult to put down. Sanjida Kay has created three very distinct voices in Lizzie, Emma and Stella drawing on their vulnerabilities to enhance empathy. It is through their complex characters that issues of morality, responsibility, identity and loyalty are tested. Initially the timeline is confusing with respect to Lizzie but as the story unravels, her connection with Emma and Stella becomes clear. Kay has captured the voice of Stella brilliantly: the recalcitrant teenager who is desperate to grow up but becomes unnerved when faced with adult issues requiring responsible decisions. Extremely intelligent she realises when she is out of her depth and struggles to cope with the threat her mother poses to the family. The short chapters and alternating voices make for easy reading as the story meanders through a minefield of revelations - some of which are predictable; some not quite so. It is certainly a thought-provoking story that poses the question: what would I do in those circumstances? Thank you Sanjida Kay and Corvus at Atlantic Books for the review copy. This is a story that will grab your attention from the very start. I was born with blood on my hands. I killed my mother on the 22nd of August, in the year 1642, the day the first King Charles turned traitor and chose a battlefield over a throne. Immediately, you are pulled in and there is no turning back. This is a historical novel with a deep dark theme of ghosts, evil shadows and a malevolent presence that will keep you on edge. It is the story of Mercy Booth, a young woman who has grown up in the shadow of this evil presence. It hangs over and around her home, right in the middle of the wild Yorkshire moors. Many in the village are superstitious and afraid of the terrifying tales of death and destruction in the area, passed down through the ages. But Mercy is not like them. She is strong, determined and hard working. She knows and loves the rough landscape of the moors, despite the rumours and dangers. There’s a fog gathering, sitting heavy on the hills, sinking into the valley. I know the paths across these moors like I know every stone and slate of Scarcross Hall, but when the fog comes down it’s fast and unforgiving, and even us helfted ones can lose our way. Her father is ill and very rarely leaves the crumbling walls of Scarcross Hall. Mercy runs the farm, tending to the sheep and working the unforgiving land like any man who comes looking for employment. When Ellis Ferreby turns up, the tavern keeper directs him. You can’t mistake the place. 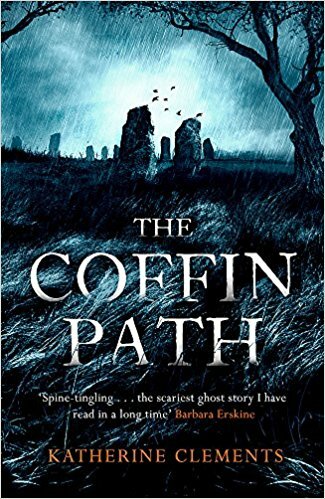 Find the church and follow the old coffin path that runs up towards the moor top. You’ll not miss it. What he is not told is that the coffin path leads to a place where the most horrific events are said to have taken place; a frightening and forbidding place. Mercy is suspicious of this quiet stranger. She feels uncomfortable around him and senses a disturbing watchfulness from him. There are also increasing episodes of alarming events which are unnatural and inexplicable. She senses something threatening. I sense it like a rabbit sensing a fox: there are eyes on me. Her faithful dog begins to growl and slinks to her side more often than usual. I’m not one for superstition and scaremongering and I’ve never before felt truly afraid. This is different: there is harm in it. My hackles rise. I’m a field mouse sensing the hawk, my pursuer invisible to me but every instinct telling me to run. Despite her misgivings, she employs Ellis for the lambing season. She grows used to him and starts to depend on him. He helps her handle the challenges faced by all farmers during that period in history. It is tough work in the harsh climate on the moors. Against the backdrop of the foreboding mood, the author gives us an interesting insight into life on the Yorkshire moors in the 17th century. The sense of menace never leaves the pages. It is always there in the background. In spite of the feeling of dread, or perhaps because of it, we are compelled to finish the book. We want to know how Mercy will cope with what we imagine will happen in Scarcross Hall. This book of ghosts, mystery and history is one that the reader will find very difficult to put down. Greenacre Writers are delighted to welcome and thank Amanda for taking part in A Conversation. We wish her huge success with 'Home', which is an exceptionally moving debut. It’s been a very long one! At primary school, I was always getting lost in a story but by the end of secondary school exam work took over, and then I went on to study music at university. I didn’t come back to writing until 2003, a few years into my first teaching job, when an idea was sparked in an English lesson. I spent the whole of that October half term writing feverishly and a year and half later, nine chapters into my first novel, I was completely hooked. At this point, I was introduced to the Writers’ Workshop and over the next few years, through them, I had a couple of manuscript critiques, finished the novel, collected many agent rejections, joined the Word Cloud forum, rewrote the novel, collected some more rejections, went to the York Festival of Writing, did Debi Alper and Emma Darwin’s truly excellent, lightbulb-inducing Self-Editing course, rewrote the novel again... Shortly after this, Debi became my mentor, I rewrote the novel again and in 2012 it was shortlisted in the Opening Chapter competition at York. But after many rejections, and despite coming very close with a couple of agents, I wasn’t getting anywhere and I decided to put the novel in a drawer and try something new. In 2013, Debi invited me to enter a short story on the theme of ‘Home’ for the charity anthology ‘Stories for Homes’ to raise money for Shelter. I had no ideas and no inspiration but I really wanted to be involved, and then I read ‘The Night Rainbow’ by Claire King, an exceptional story about grief told from the point of view of a child. A thought popped into my head: what does homelessness look like to a child? And there was Jesika, jumping up and down in front of me, impatient to start her story. It was selected for the anthology and I returned to other projects but Jesika wasn’t done. She insisted there was more to tell, so I wrote her a novel. That took another three years of writing, rewriting and editing until finally, in August 2016, I had a draft I was ready to submit to agents. Since then everything has happened very fast! Four agents were interested in the full MS, two made me an offer and by September I was represented by Jo Unwin. I worked with Jo on some editing changes and she sent the novel out on submission in late November. Two publishers made an offer before Christmas and by March 2017, I had a signed contract with Transworld! 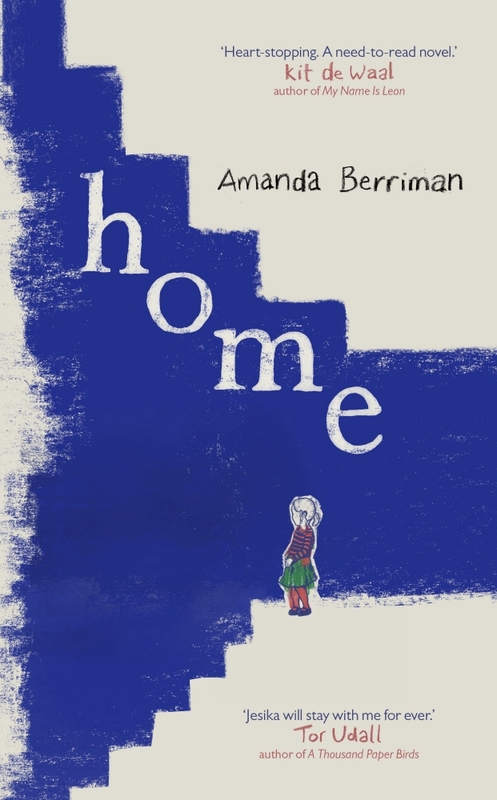 The last year has been a steep learning curve, but fascinating and exciting, and finally seeing ‘Home’ on the shelves in February this year (almost 15 years since that first spark was ignited) was a truly special moment. What I love most about being a writer is when a reader connects with something I’ve written and completely gets what it is I’m trying to say or sees something in it that I didn’t even consider – it’s truly wonderful to think about your novel going out into the world and evolving all by itself in the minds of readers. As to my role as a writer, I found this really hard to answer! I don’t think about my role as a writer when I’m writing. I have a story that insists on being told and I tell it. Perhaps at the rewriting/editing stage I think about it a bit more – What’s the point of what I’m writing? What am I trying to say? – and with ‘Home’ that was about creating a human angle for all the media headlines that never quite get to the heart of the real story of real people living real lives of hardship. I wanted the characters in ‘Home’ to be people that readers could identify with and feeling empathy for, and although Jesika and Paige and their family and friends are fictional, I wanted them to feel authentic enough that people started to think about the real Jesikas and Paiges out there. Empathy is all about understanding or feeling what another person is experiencing from their point of view and I find it impossible to write even the most hideous characters without, for a short while, standing in their shoes. But it can be uncomfortable, painful, depressing... after spending some time in the head of one particular character in ‘Home’, I felt physically sick and wanted to scrub my brain with bleach! But it’s an essential part of getting to know my characters that I listen to them all, good or bad. It’s very easy to write about what you know, or people who are the same as you, but that’s not an honest reflection of the communities we all live in and it’s boring. When I was writing ‘Home’, I looked for inspiration in the communities where I live and work and that’s a never-ending source of interesting, diverse people who are all unique. And once you’ve got the basis of your cast, listening to these characters is fascinating because these are people who haven’t had the same life experience as you and they have stories to tell you that send you off on all sorts of interesting research trips. Writing several different versions of me would not be half as interesting! The Coromandel Peninsula, North Island of New Zealand. Follow the coastal road north until it heads inland and begins to wind its way up and down over green hills. Some miles on, there’s a farm at the base of the hills and on its vast acreage there’s a track that climbs up to a summit with views across the bay towards Auckland in one direction and out over the Pacific in the other. There are also trails along a ridge and through the bush, hidden streams and pools and a waterfall, and space and quiet to think and dream. My husband and I spent time there, on and off, in 2004/5 and it’s where I wrote a lot of the first nine chapters of that first novel. We’ve not been back since, but it’s a place I return to in my head a lot. A Monster Calls by Patrick Ness. It is the most beautiful, devastating, perfectly crafted book, and I still can’t talk about it without crying! No other book has ever done that to me. Writing isn’t all about writing. Give yourself space to dream and brew. Figure out what gets the ideas going – for me it’s getting outdoors, walking or cycling – and do that as much as you can. Find trusted writing friends who will give you honest feedback on what you’ve written, but be open to their ideas and be prepared for it to sting sometimes. Always give feedback time to sink in before addressing it and then ‘accept, adapt, reject’ – you don’t have to agree with everything you’ve been told! Learn as much as you can. Join writing forums, ask around about inspirational courses and festivals and workshops (and if this is beyond your budget, ask about bursaries and funded places – Twitter is really helpful for things like this). Be brave. It’s not easy to submit to agents because rejections hurt but they aren’t the end of the road and sometimes they can lead to valuable learning opportunities. Eat chocolate, drink wine, laugh with friends and then start again, but don’t give up. I lost count of the number of times I was rejected – certainly more than thirty – and it took me almost 15 years, but I made it in the end! I’m working on an idea that involves some of the minor characters in ‘Home’ - not a sequel, but more of a side-step. However it’s early days of first-draft-awfulness so hard to say where it’s going yet! Anne of Green Gables! When I was growing up, there were aspects of her that I recognised in myself: a dreamer, a writer, a girl not afraid to fight her own battles and make her opinions known however ‘unladylike’ that was seen to be. Like me, she wasn’t entirely comfortable with herself and sometimes made mortifying mistakes, but her intentions were always good. And as much as she hated her ginger hair, I really coveted it because I thought brown was boring! Home is published by Doubleday.